Train01 is agroup of young professionals who combine their various specialisms with the aim of expanding their own fields of expertise. TR01 chooses to operate over a broad range of activities: from commissioned projects to competitions, exhibitions, educational activities and seminars. Founded in 2001, TR01 was winner in the competition for the transformation of Genoa General Market (65.000 m2, 2001), Deiva Marina waterfront (21.000 m2, 2002), a new offices building in Novi Ligure (2.600 m2, 2003) and a 60 housing units building in Barcelona (6.205 m2, 2005). 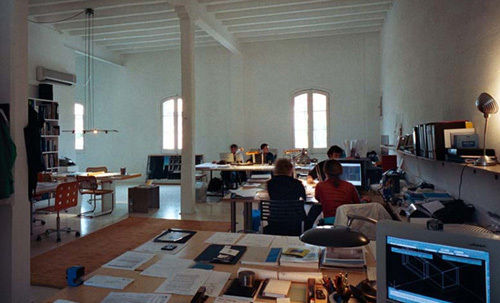 TR01 works have been exposed in the water-cities pavilion of the 2004 Venice Architectural Biennale and in the 2005 Spoleto Contemporary Architectural Biennale.